No tricks this Halloween, just a treat for you! 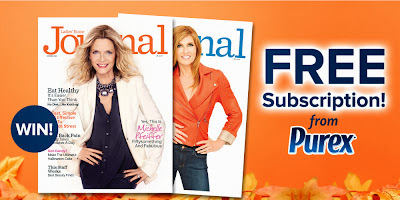 Win a FREE subscription to Ladies' Home Journal from Purex. Limited supplies, so enter today for a chance to win! Click HERE to go to Purex's Facebook Page!